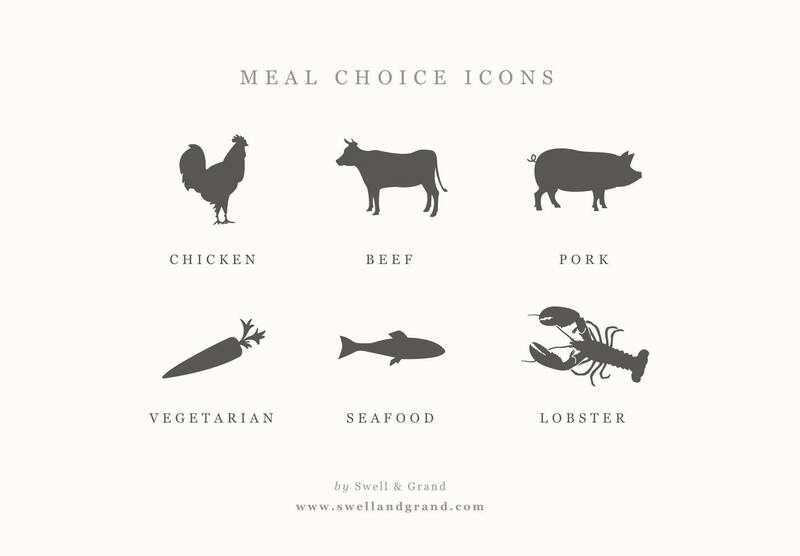 Use this handy template to add meal choice icons to your Swell & Grand place cards or RSVPs. Simply copy/paste into your Word or Pages document. STEP TWO: Recolor, Copy, & Paste as needed. CAN I RESIZE THE ICONS? Of course! Like any word document, you can resize/add/move/delete everything you see.